Home is where the heart is, and to put the pulse back into an exclusive property takes the expertise of top-notch architects, builders and flooring specialists. In the suburb of Dover Heights in Sydney, a property in Aboukri Street was renovated, translating tradition to modernity under the auspices of Sam Crawford Architects (SCA), SQ Projects and renowned flooring and walling specialist, Honestone. 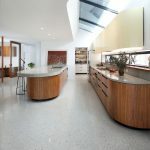 Established in 1999, Sam Crawford Architects (SCA) is a design-driven architectural practice based in the inner-west of Sydney, NSW. 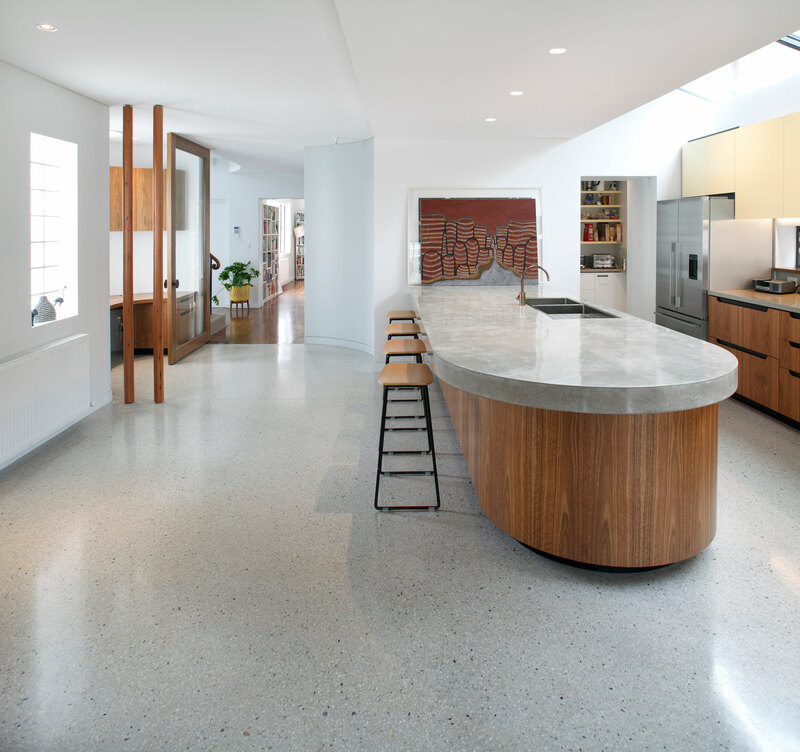 Over the last 16 years, SCA has successfully completed over 200 projects, establishing a well-earned reputation for design excellence in residential, cultural and public projects. 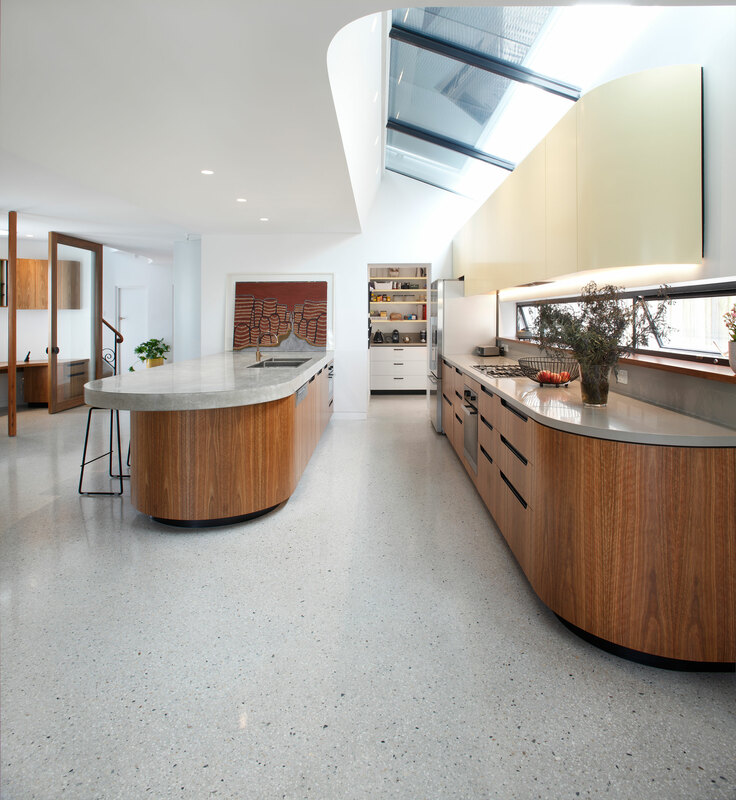 SCA has also been recognised in numerous local, state and national awards – from the Australian Institute of Architects, Australian Timber Design Awards, Local Government Heritage, Conservation and Urban Design and industry awards and commendations. 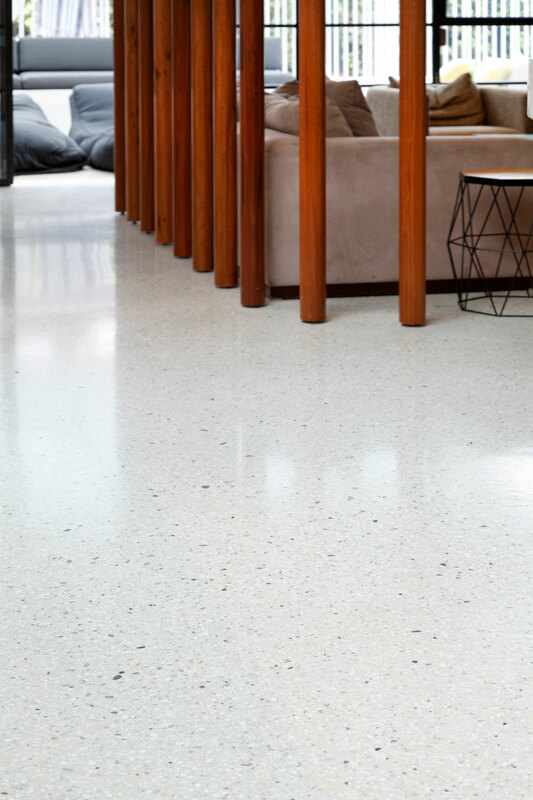 Honestone, on the other hand, is an internationally and locally recognised award winning Australian company that has outstripped boundaries when it comes to superior flooring and walling enhancements. 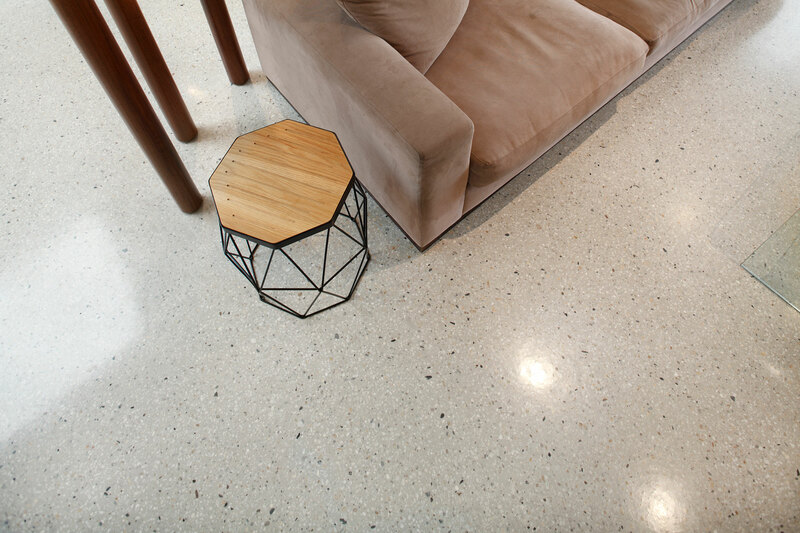 Honestone received top honours as the most highly noted international Decorative Concrete Council Awards 2013, presented in the United States, as well as the 2015 Master Builders (MBA) ‘NSW Excellence in Construction Awards alongside four others, and, yet again, came up trumps at the recent 2016 DCC award for Hype DC Hurstville – to name a few. And SQ Projects is also an award winning building, developing and project management company, delivering quality projects with an established record. 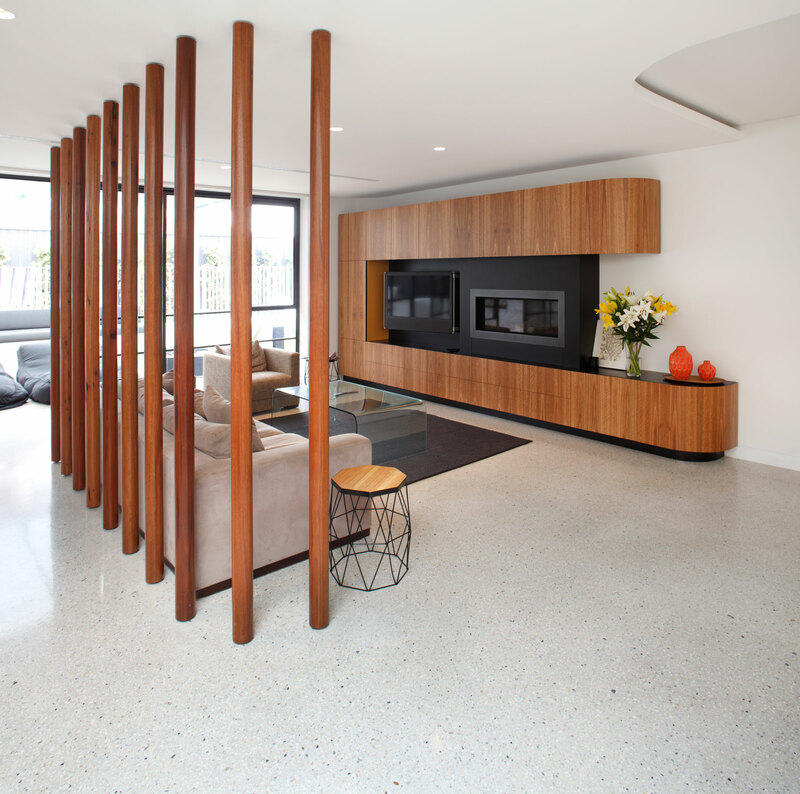 Hence, when home owner Debbie Atkins approached SCA to refurbish her stunning abode, SCA headhunted only the best in the business to play their part in the makeover, including Honestone and SQ Projects. 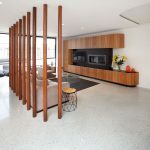 “The warm tones compliment the spotted gum timber veneer joinery and the yellow and grey accent paint colours throughout the room,” Ms Tudor confirmed. SQ projects manager Matt Sidoti said in terms of the product, it was “on par”. 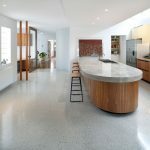 He said despite some construction issues, the project was successful and Honestone’s work quality and workmanship on that polished concrete floor in Dover Heights was well above board. 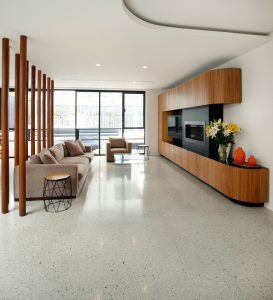 Mr Sidoti stated that the clients were extremely happy with the results. Honetone director Rick Hendriks said his expert team worked tirelessly to leave no stone unturned to perfect that polished concrete floor in Dover Heights. 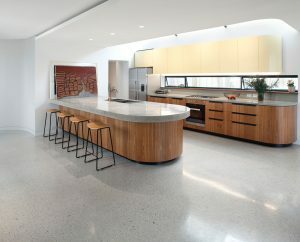 Mr. Hendriks said his specialist team worked tirelessly to achieve the most stunning of finishes. 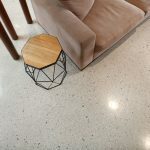 “SCA approached Honestone for a solution to meet their client’s desire for a polished concrete floor in the renovation of their Dover Heights home,” he said. 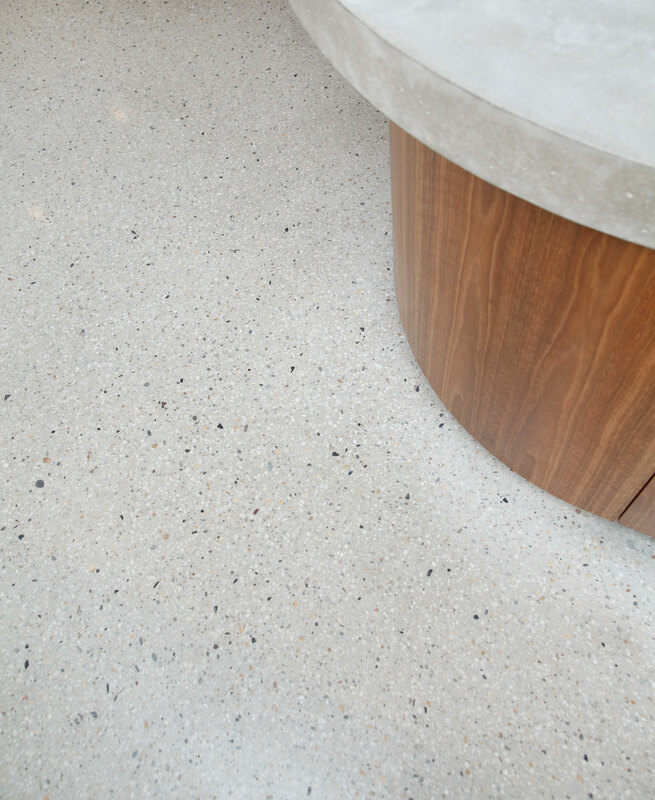 Among the masterful solutions Honestone can offer are terrazzo flooring, polished concrete floors, utilising floor sealers, epoxy garage floor coatings, alternative epoxy flooring/coatings, concrete levelling, concrete grinding, and – naturally for this superior enterprise – any matter pertaining to concrete is resolute. 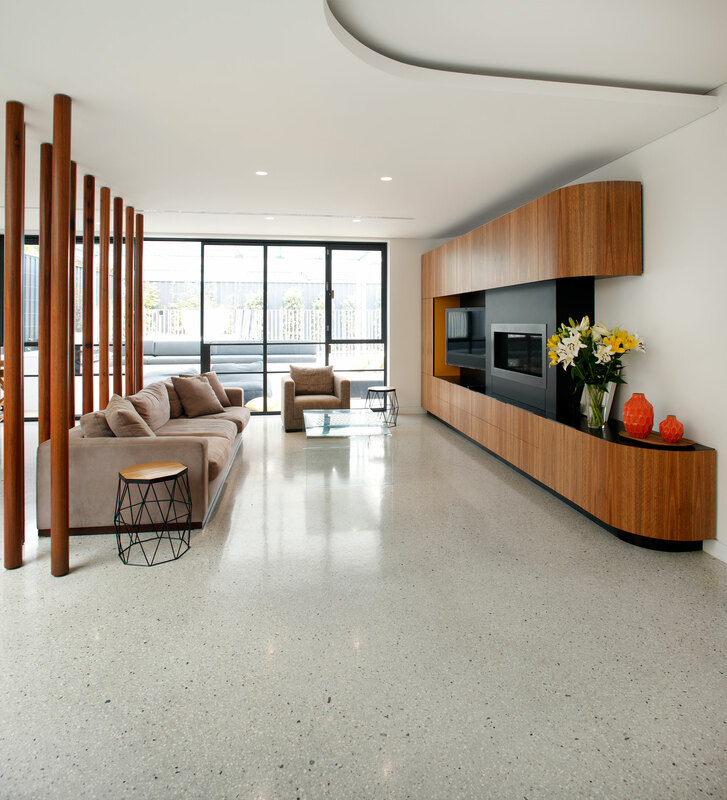 To find out more about the extremely professional and innovative flooring and wall solutions please contact us on (02) 4353 0055.